Thank you. Yes, this is probably a no-brainer for the more experienced knitter. Although I love to knit, I struggle with reading patterns. Love your videos. Color B has been unused for too long to simply bring it up the side. Cut your Color B from section Section 1 leaving a 6″ tail to weave in. Rejoin Color B in Section 4. Please let me know how this works out for you! So, I need some clarification. we leave color B attached and just bring it up to section 4? Wonderful to hear from you! Give everyone at Yarns by the Sea a hug from you. 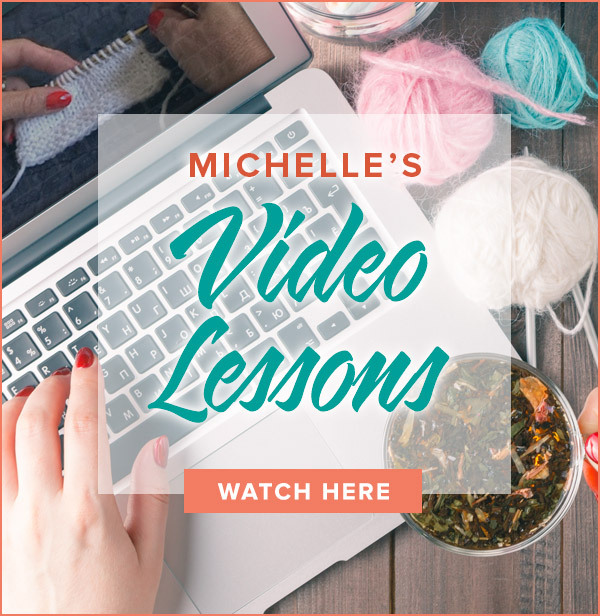 I love that we can knit together online – I hope we can do it in person soon! I’m totally loving this color work, Michelle. I’ve been wanting to give it a try, and who better to do it with than you? 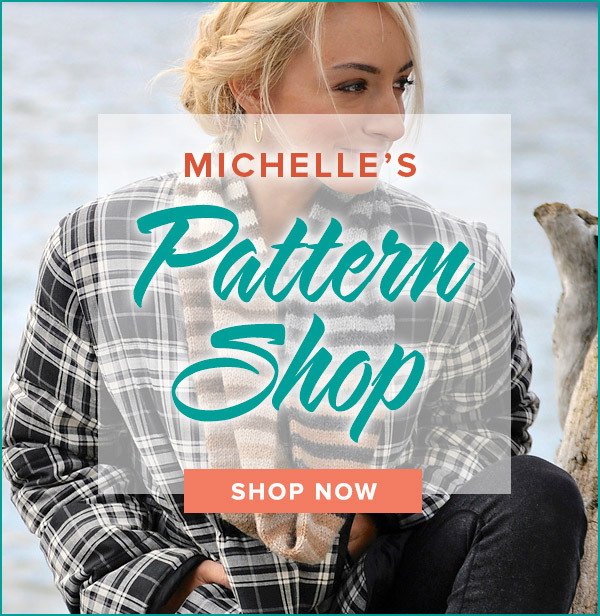 The pattern is great, and your video helps SO much. The gang and I at a Yarns By The Sea in Aptos CA are having a blast with this KAL. Thank you so much! I’m glad you are having fun! Yes, leave Color B attached and proceed to work the Saw Tooth pattern. You do not need to cut the yarn at every color change – it can rest for the few rounds it is not needed and then picked up when it’s tome to use it again. Hi, wondering if color b is left attached after first round and carried up to round 4? Thank you. This is fun not knowing the end result. Kind of fun to get a preview! Love this video. I felt like I got a sneak peak when I watched it last night .